Silke Teresa Powell, RM; Ba(Hons); MMid ; Dip. Ad. Ed. 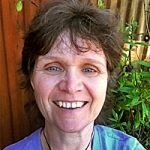 Silke Powell is a Kaiako (teacher) on the Bachelor of Midwifery Programme at Christchurch Polytechnic, facilitating satellite groups of students based in the Nelson Marlborough region of New Zealand. She also practises as a midwife at Wairau Hospital, Blenheim and within the local Marlborough community. This presentation is developed from the findings of a structured review of evidence, entitled ‘How effective is the presence of meconium-stained amniotic fluid as a predictor of neonatal morbidity and mortality?’ undertaken as a Midwifery Masters dissertation at the University of Leeds, UK, in 2005.